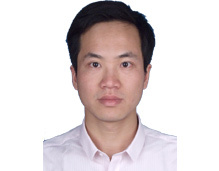 Mr. Lou Chunhao is an Assistant Research Professor at China Institutes of Contemporary International Relations (CICIR). Since May 9, 2011, he is a Visiting Fellow in IDSA for six months and his research topic is U.S.-Sino-India Relationship in the Indian Ocean Region. His research focus is on South Asian issues, particularly on Indian and Nepali studies. He has written many policy reports and also published some academic papers on Sino-India relations, China’s South Asian Policy and Nepal’s Domestic Politics. He also writes many media commentaries on the above-mentioned issue. He is a member of the Association of South Asian Studies in China.